Vanessa Tierney will be joining ISME’s 2018 Annual Conference in Citywest Hotel, tomorrow 21st November. The title for this year’s event is ‘Think 25’. 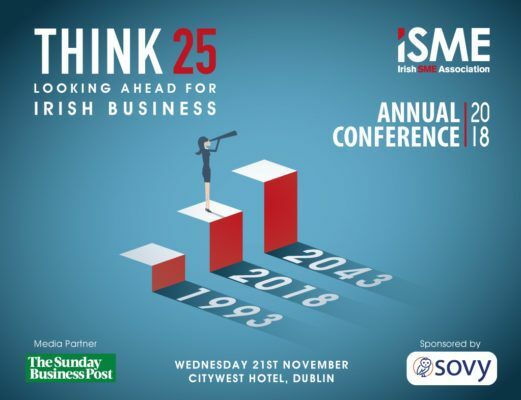 As ISME looks back on 25 years of supporting SMEs we encourage you to look to the future and envision where your business will be in 2043.